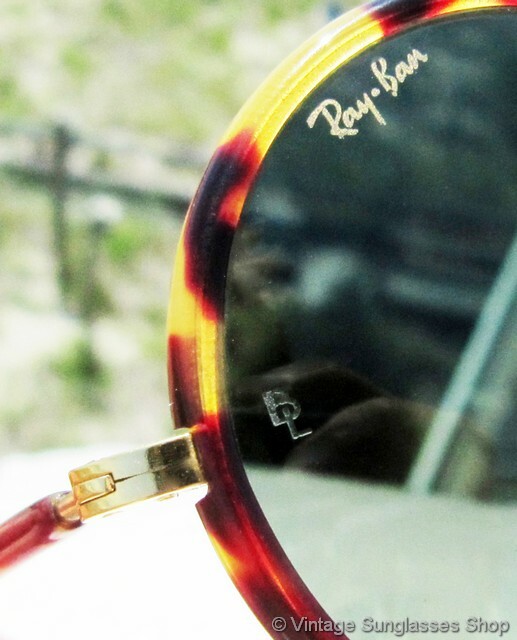 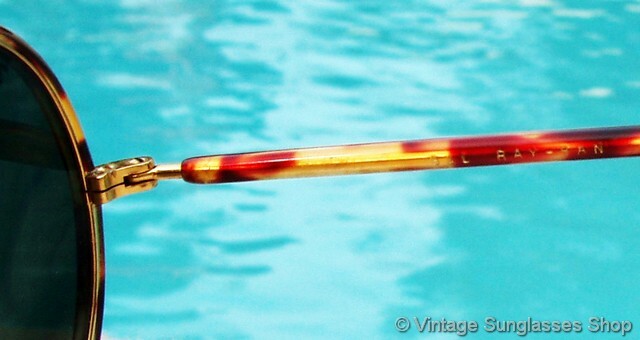 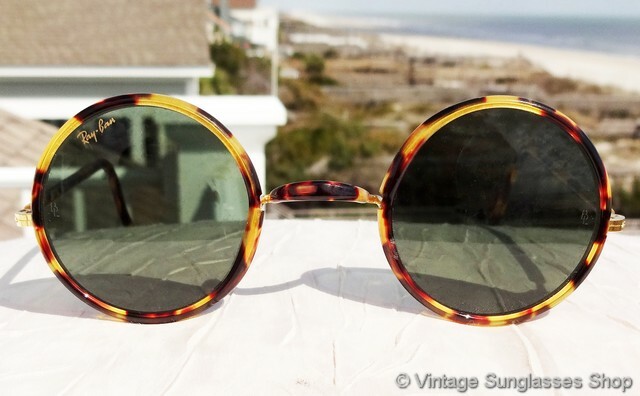 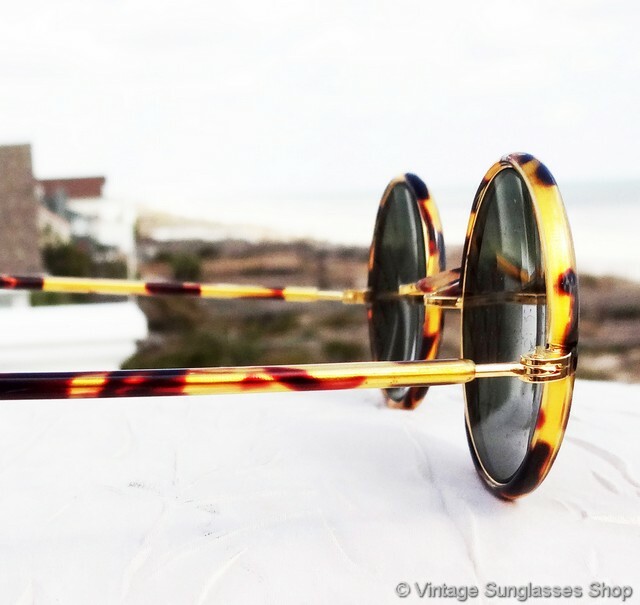 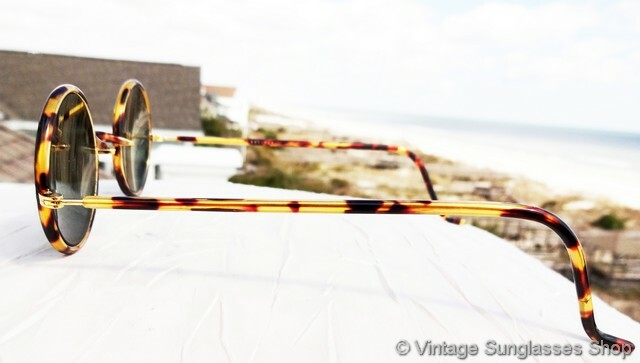 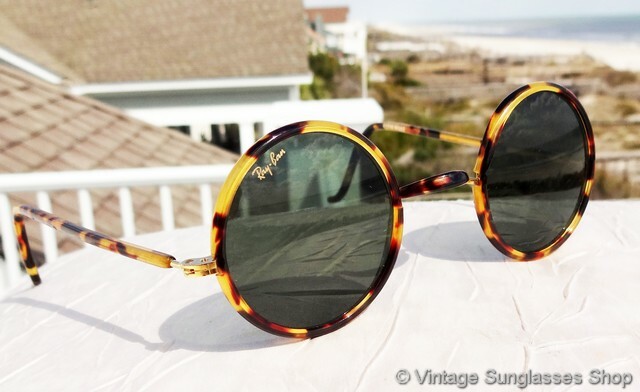 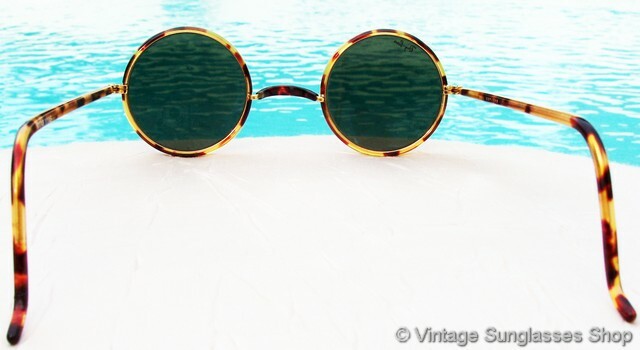 1 Rare vintage Ray-Ban W1748 Cheyenne round yellow tortoise shell sunglasses are a very unique shape among vintage Ray-Bans sure to attract attention. 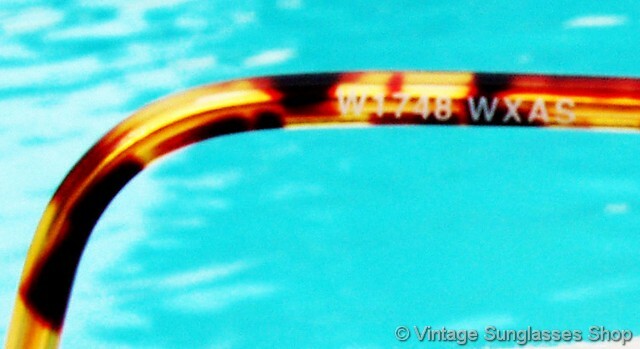 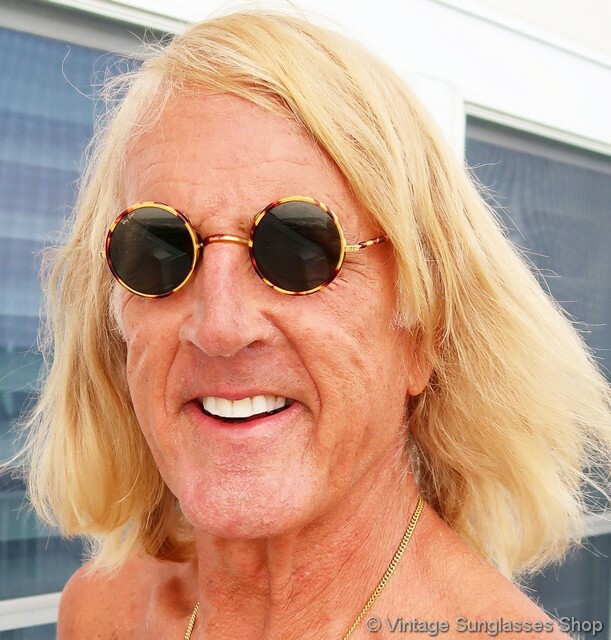 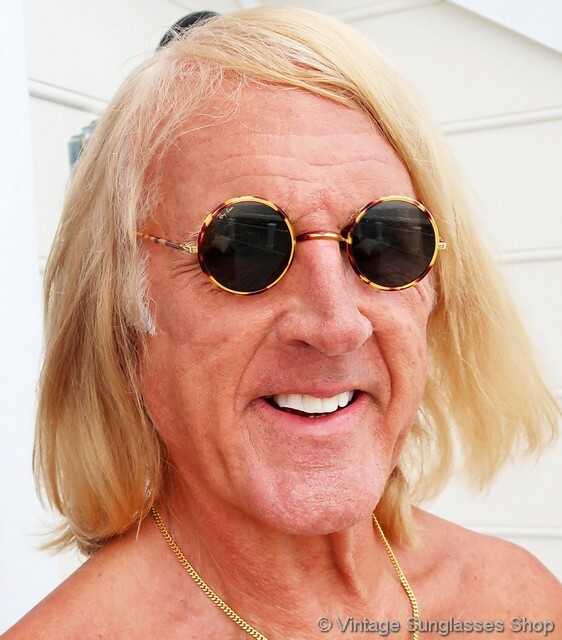 There is a subtlety to the style of the Ray-Ban W1748, including the lower than normal nose bridge that has the effect of accentuating the round B&L lenses as were worn by John Lennon. 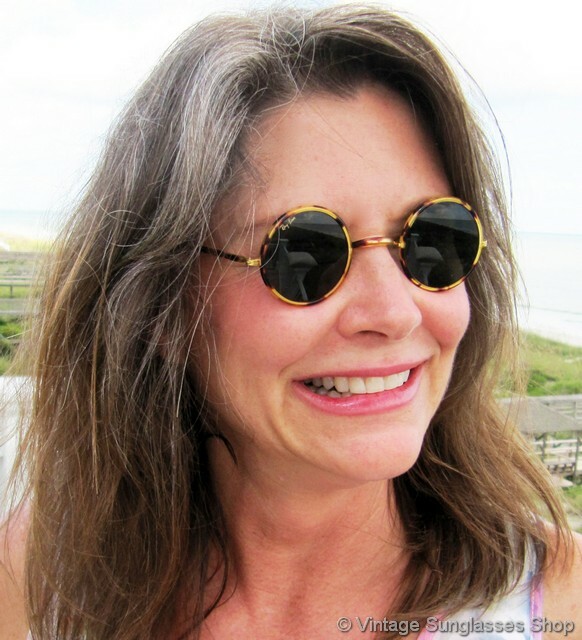 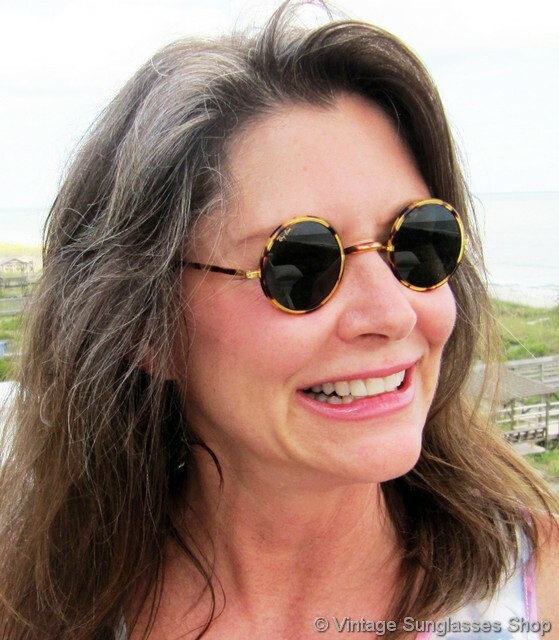 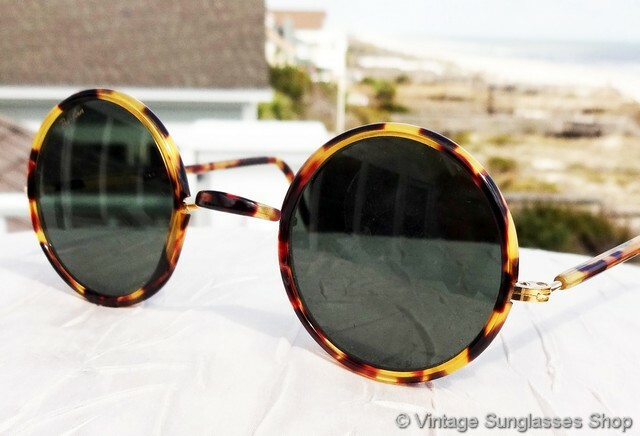 The Bausch & Lomb G-15 lenses look great with the yellow tortoise shell frame, each measuring approximately 1.5" in diameter and both laser etched BL near the hinges and the right lens laser etched with the Ray-Ban logo. 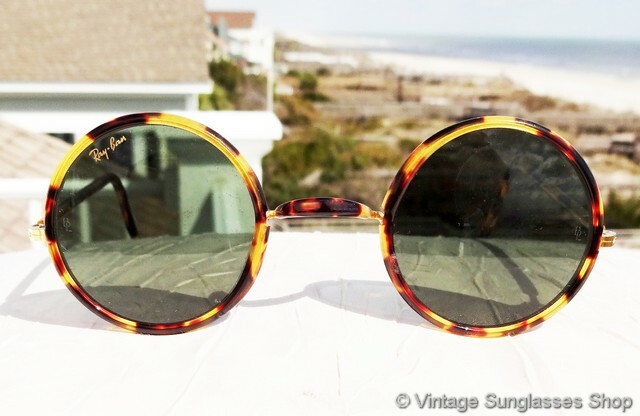 The eye catching unisex Ray-Ban W1748 Cheyenne frame measures approximately 4.75" temple to temple, and the inside of one ear stem is marked B&L Ray-Ban while on some production the other stem is marked W1748 WXAS. 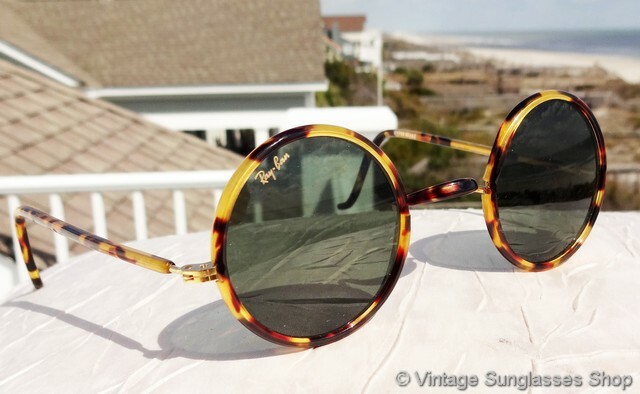 Ray-Ban Cheyenne sunglasses in their several different variations are a real icon of modern sunglasses design, part of a well known TV producer's collection of vintage Ray-Bans in Beverly Hills, CA. 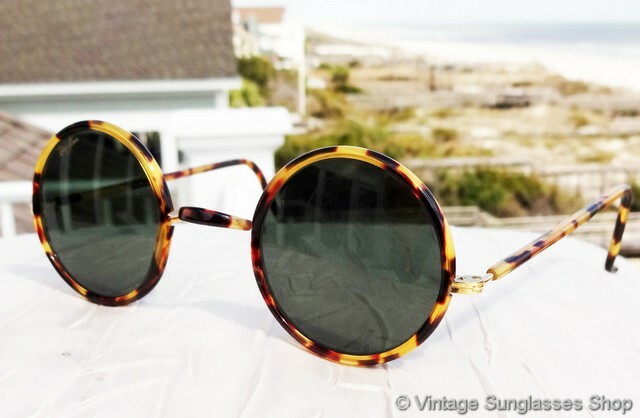 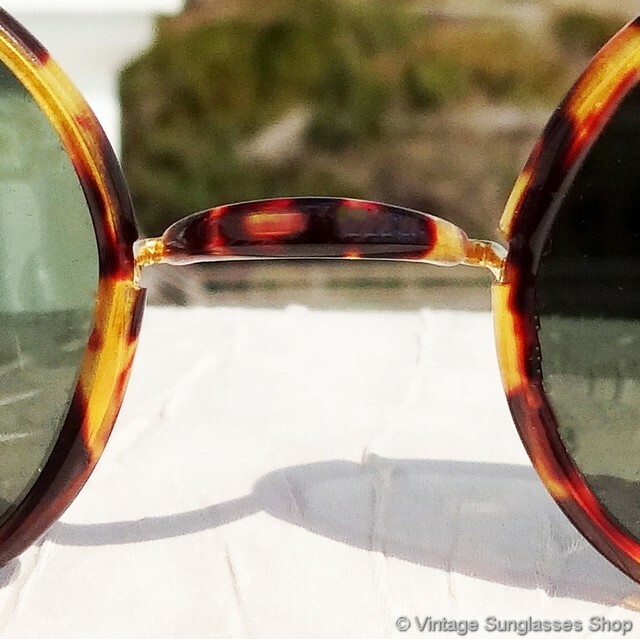 2 Step up another level beyond our already unequaled vintage condition standards with new old stock Ray-Ban W1748 Cheyenne yellow tortoise shell sunglasses in mint, unworn condition.